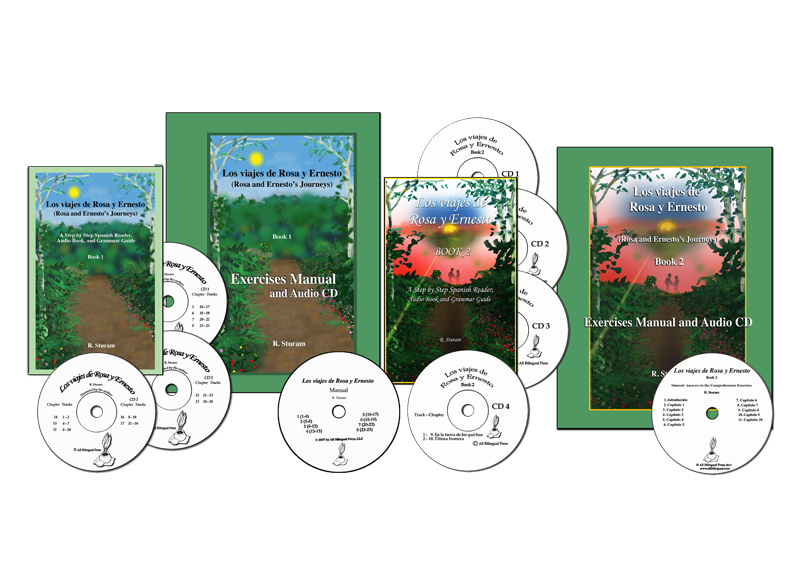 A Step by Step Spanish Reader, Audio Book, and Grammar Guide. Listen while you r..
A Step by Step Spanish Reader, Audio Book, and Grammar Guide. Listen while you read! This book and audio program teaches through the context of a story that will appeal to the young, and adults. Heritage families (from an Hispanic background, living in the U.S.) will find this method the best way to maintain and enrich their children’s Spanish language skills. Middle school, high school, and college students, or anyone interested in developing language skills in Spanish, can learn while reading, or listening, to this entertaining and compelling story. 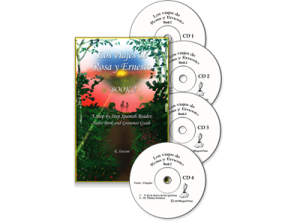 The exercises in this manual accompany and reinforce the vocabulary and grammar presented in the Rosa y Ernesto reader. At the end of each chapter, multiple choice comprehension exercises are introduced. 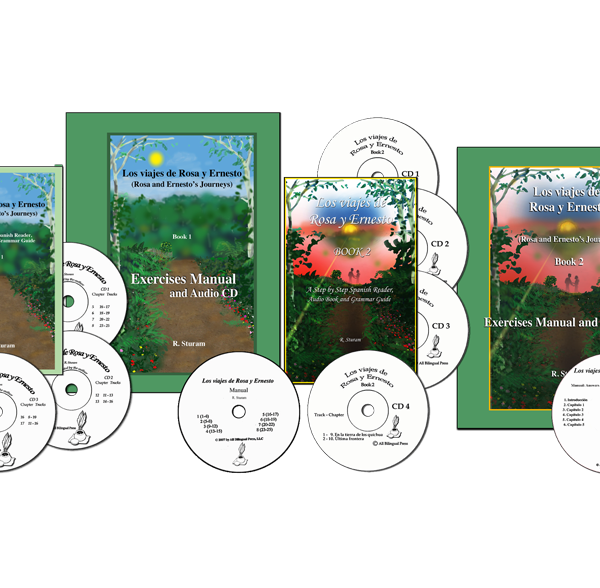 The audio CD provides answers to each exercise so that students may self-correct their work as well as develop aural and oral skills through listening to the spoken language. A Step by Step Spanish Reader, 4-CD Audio Book and Grammar Guide This much-antic.. 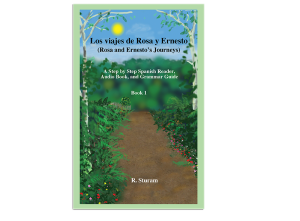 This much-anticipated continuation of the Rosa and Ernesto story in Viajes 1 also continues the grammar and vocabulary lessons. This exercise manual supplements the vocab and grammar presented in Los viajes d.. 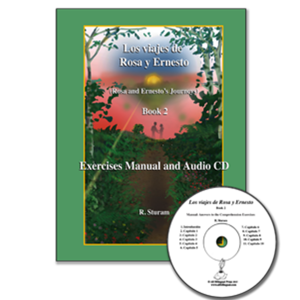 This exercise manual supplements the vocab and grammar presented in Los viajes de Rosa and Ernesto, Book 2 and includes many reinforcement exercises. It comes with an “answer CD” for students to use in self-correction as well as practice in aural and oral skills. Continue the adventures with Rosa and Ernesto! A Step by Step ..